Those astounding sales figures make me a) green with envy, and b) think she must be doing something right. 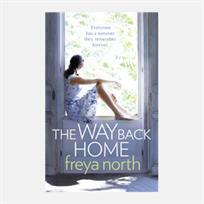 She seems to be a thoroughly modern author, published traditionally by HarperCollins – The Way Back Home is her 13th novel – but she interacts with her readers directly using social media. She does not expect her publisher to do all the promotion. I agree. I wish I wrote in the days when the author’s sole job was to write the book. I wish I could stay in my study, concentrate on writing: what luxury. But I want people to read my book. So it’s time for a reality check: the world of publishing does not work like that any more. It is not just self-published authors who need to publicise themselves. There are millions of books out there and one book – your book, my book – simply disappears without some help. Especially books by debut authors without a back catalogue to promote. So that means communicating with readers on a daily basis by whatever means you are able: blogs, tweets, Facebook, author interviews, talks to book clubs, visits to bookstores. Conduct conversations, build relationships, give some of your time. Or watch your book disappear into that ocean which is today’s global bookstore. Click here to visit Freya North’s website. 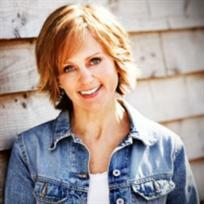 To watch Freya North talk on You Tube about proofreading her novel Chances, click here.